So no one told you life was gonna be this way, because it has been a challenging start indeed. 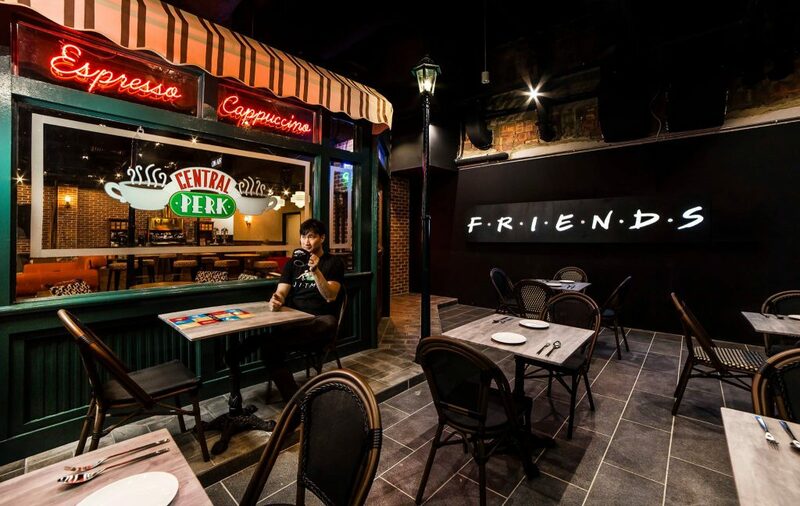 In June 2016, The New Paper released an article about a rumoured Friends-themed café in Singapore to be opened in 2017. 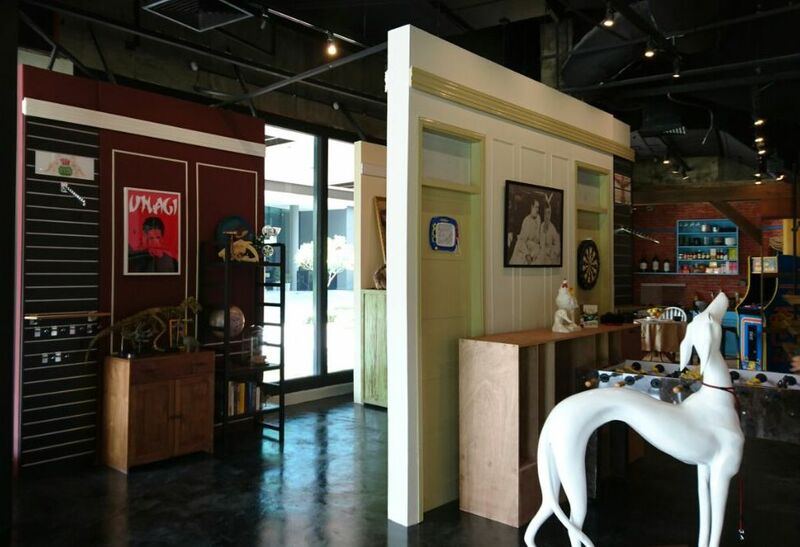 In September, social media went abuzz with the news that Singaporeans were indeed about to get our very own café, and it was happening a lot faster than we expected. 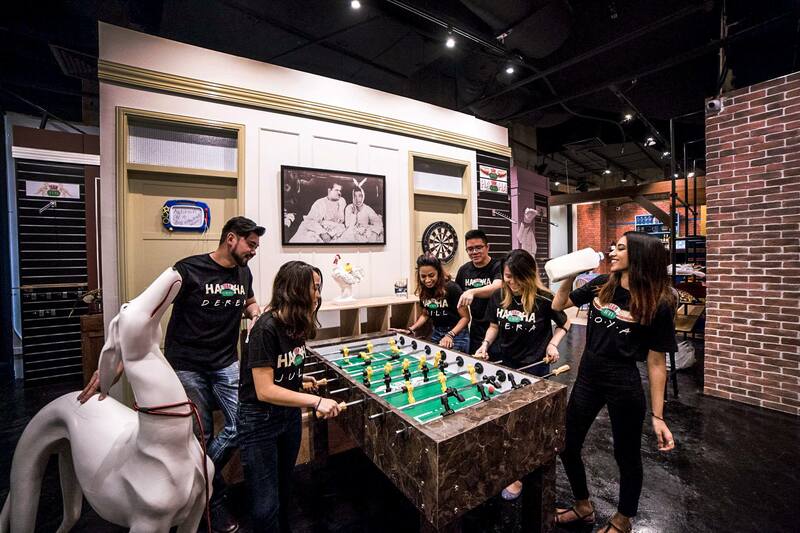 On 24th of November, Central Perk SG opened its doors at Central Mall, and we were there to join in on the action. The first thing I noticed was that the place was huge. The café occupies a sprawling space of two shop units combined into one, as well as an adjacent third that is the kitchen. 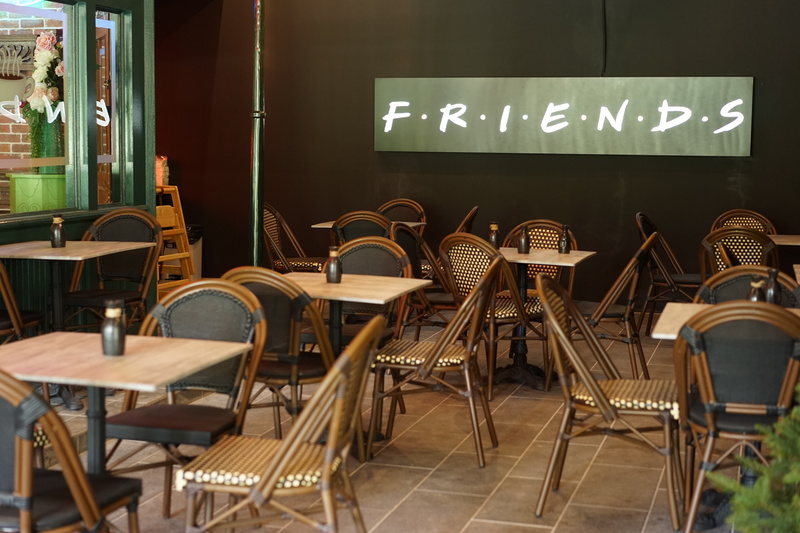 The café also has an “al fresco” seating area, where tables are cosily arranged along a makeshift street, giving customers the experience of looking into the café from the outside as they pass by. Here’s Phoebe’s corner where she made “Smelly Cat” one the most memorable things you’ll ever take away from the show. 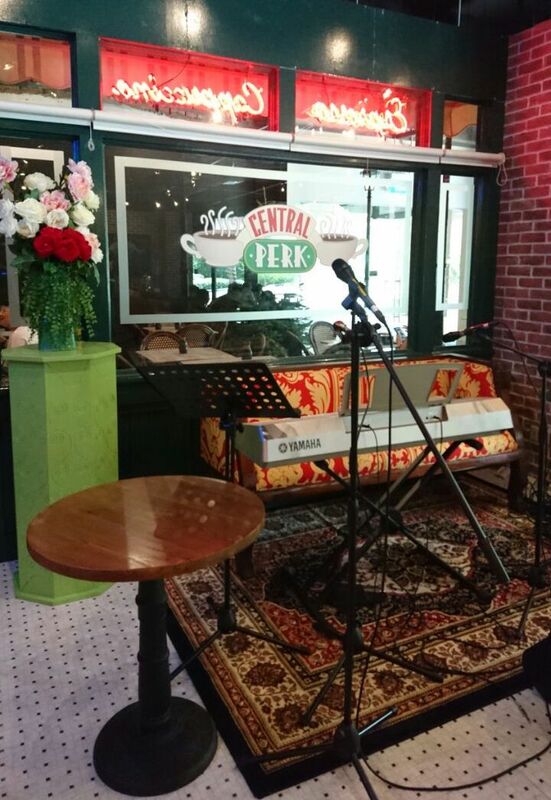 Open for photo opportunities, Central Perk SG is also looking into bringing local artistes in to perform live, perhaps even their own versions of “Smelly Cat”. The main seating area also features a spanking new bar counter where diners can watch the team work their magic with one of the six Friends-inspired coffees. You can find all six coffee blend profiles on their Facebook page here. 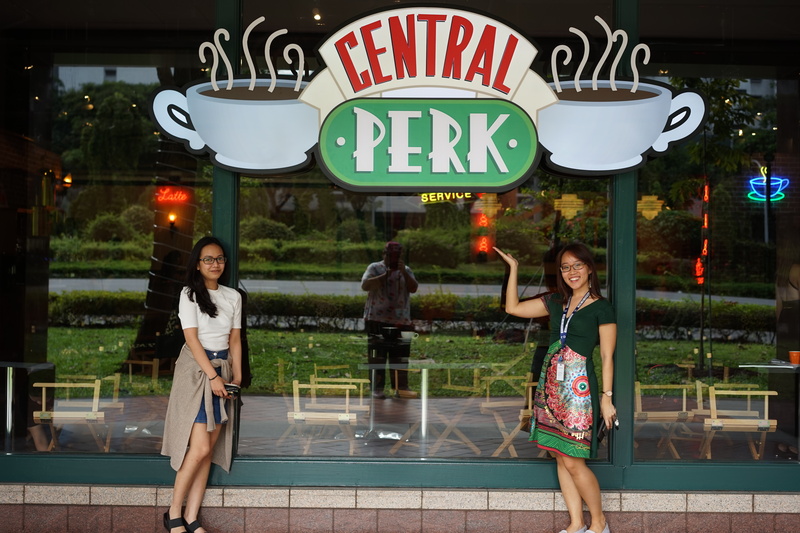 Fun fact: Central Perk SG is the only Friends-themed café outside of the US that is officially licensed by Warner Bros. When the original Indiegogo campaign really started to gain traction, it was WB who reached out to the team to work something out. Adjacent to the seating area are the feature walls, and what will also become the space for fan merchandise when the stocks come in. Each feature section is themed to ooze with the personalities of the six friends whom we all love so much. Yes, that’s a working Pac Man machine. 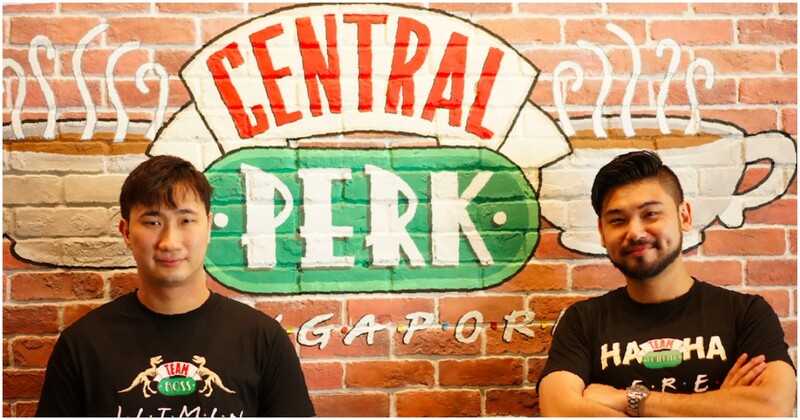 Setting up Central Perk SG has definitely not been smooth sailing. 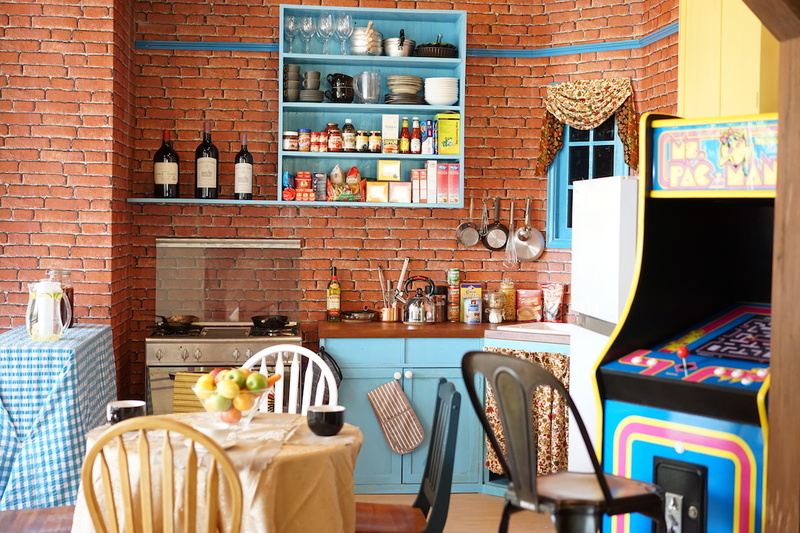 It helped that they had the support of Warner Bros., who provided them with a style guide that the team could take to interior designers. Nevertheless, there were plenty of other things to worry about. 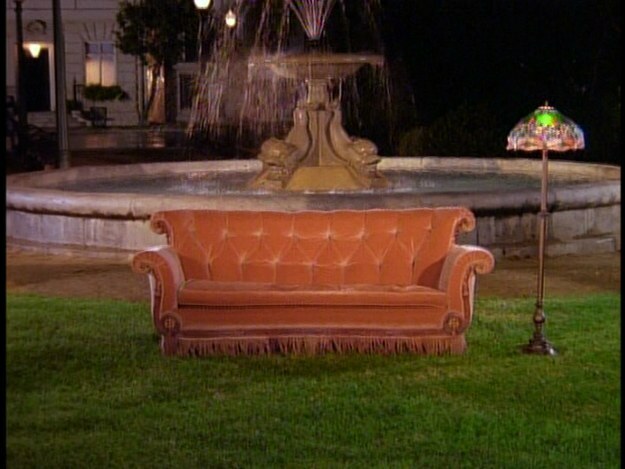 But in his opinion, the hardest obstacle to overcome was “The One with the Orange Couch”. 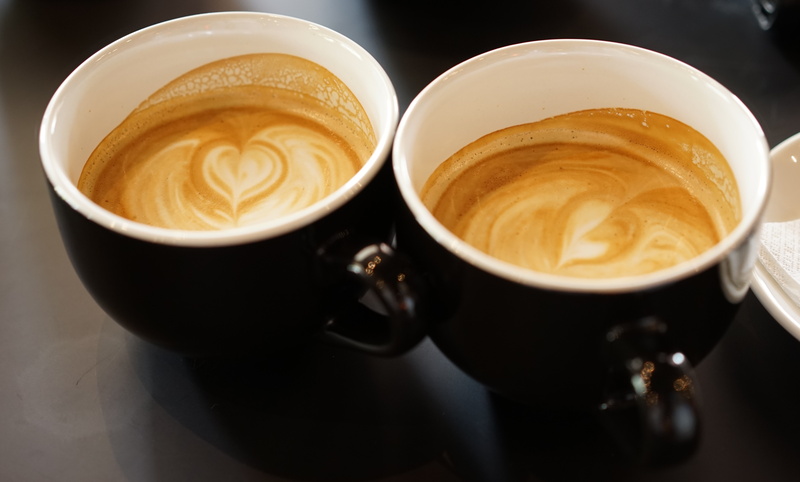 The one that now sits in the café is their sixth one. The other five were all wrong in one way or another, either the wrong size or color etc. And whenever that happened, they would have to make emergency calls to vendors. He then laughingly offers to sell us the reject couches as they were taking up storage space. Another challenge that they had to overcome was their coffee. 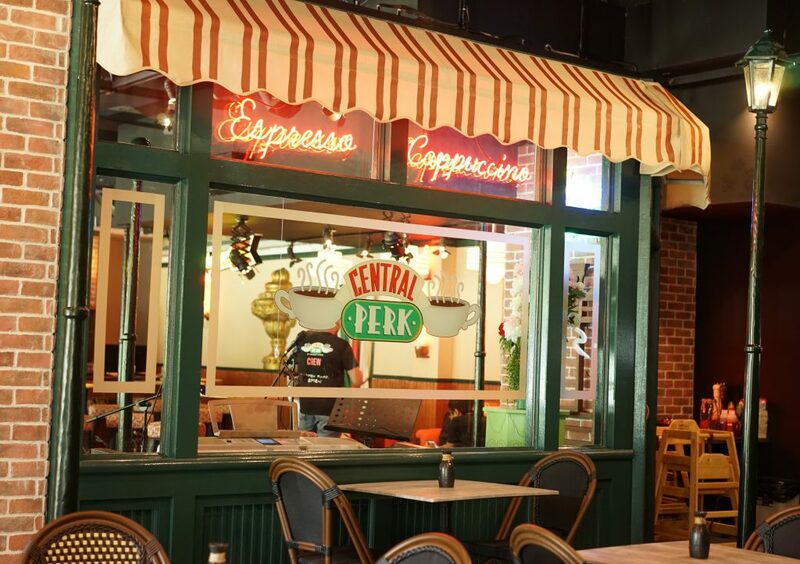 As a café, Central Perk was defined by its coffee, and so they really wanted a strong menu. Visiting different roasters and suppliers, they embarked on a “learning journey about coffee“. “There was a time when Derek and I were drinking 30 coffees a day, and so we couldn’t sleep and would call each other at night,” Jit Min laughs. 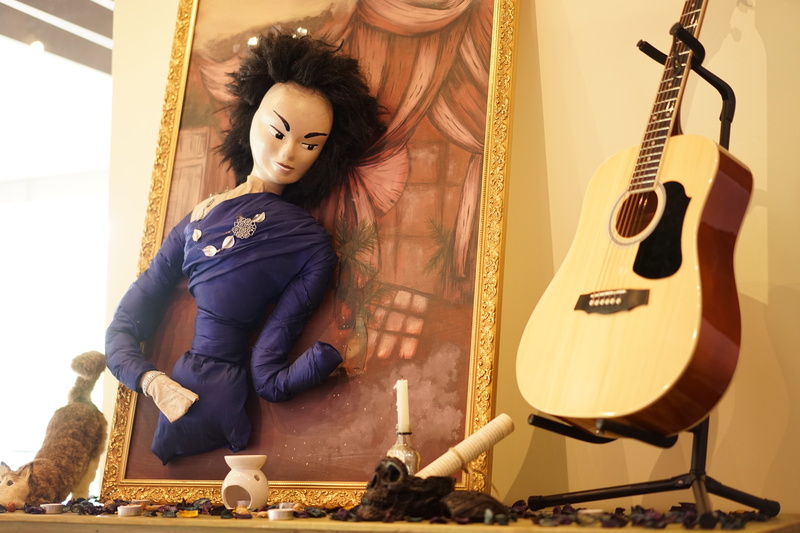 Along the way, Jit Min was inspired to have six coffee blends styled after the six friends. And despite the suppliers disagreeing with him on the basis that it was not economical, he persisted. “Thankfully, [co-founder] Derek managed to find a workaround,” he admits. In October, the team drew flak for their $1000 membership, but Jit Min clarifies that there was a misunderstanding here. As with other crowdfunding campaigns, different donation tiers come with their own rewards. And during the original Indiegogo campaign, the membership had already been launched. During the campaign, he wasn’t even sure if the café was going to come to fruition. But despite them only offering couch reservation privileges members donated anyway, because they really wanted the campaign to succeed. Even despite the minimal perks at the start, people still took the effort to message him about memberships, and his replies to all of them were the same. And from that, Jit Min reflected that he was grateful. The team is looking at a maximum of 300-500 memberships, and they have already passed the 100 mark. A truly impressive start considering that fans had yet to see the final café. Nevertheless, success is not about getting members in the thousands, but “recreating the best experience for fans“. Fun fact: Jit Min expressed a desire to build a Friends’ apartment, Airbnb style, as well as international expansion plans. But for the moment, he will be focusing on the café. Chatting with Ground Floor Supervisor Alex, I also learned that the team are all huge fans themselves. This would make it easier for them to chat with customers and bond over a mutual love for the show, characters and some of the best quotes TV has ever seen. The main seating area boasts a retractable projector screen, where episodes will be screened for everyone to enjoy. 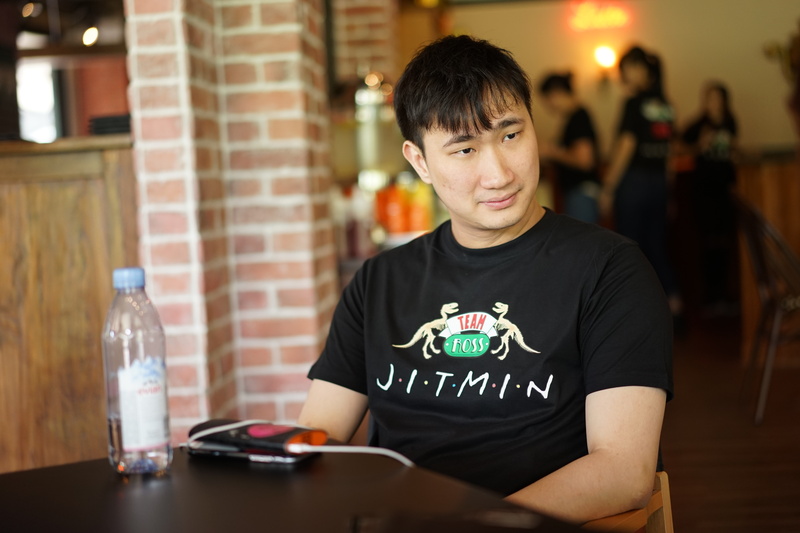 The community vibe is also strong in the feature walls, which Jit Min admits are his favourite aspect of the café. But despite the difficulties in hunting for the props, it is apparent everyone gave it their all in setting up the feature walls. “We all kind of helped each other find stuff, whether it be from Carousell, whether it be on Amazon, or walking down Chinatown. Or sometimes just going into the kitchen to see if the kitchen had it,” Alex laughed. Fun fact: Each staff member has a Team to which they belong. The most popular Teams are currently Chandler and Joey, but there is also a Team Gunther, coincidentally the head barista with dip-dyed blond hair. 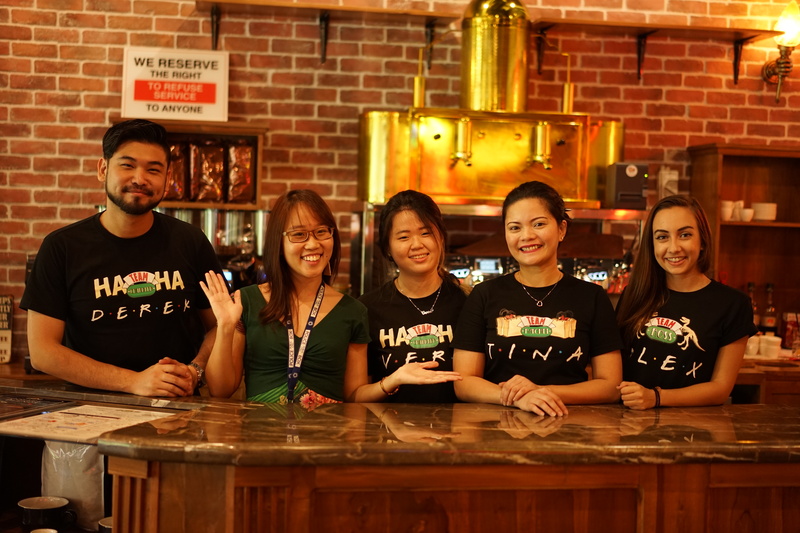 Yes, the membership is not for everyone, but there are still plenty of reasons why you should head down to Central Perk SG. Firstly, because it’s Friends, and secondly… Well, because it’s Friends. The team has promised that they will be fair so that non-members will get their turn on the orange couch. 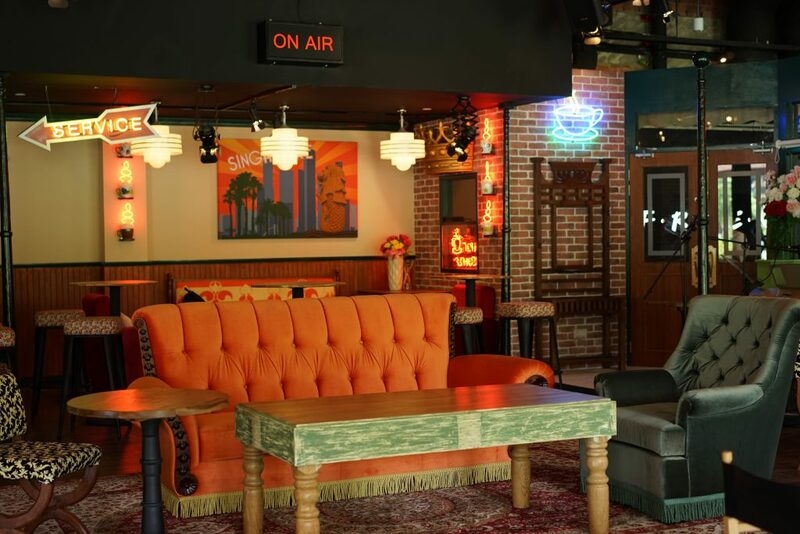 And based on the amazing interior and promises of communal episode screenings… Honestly, even if I were a non-fan, I would definitely want to be part of the action.